ITW GSE is the premier supplier of PCA Hoses. The compact and insulated Flat Duct is an extremely flexible heating and air-conditioning duct. It is constructed without wire reinforcement, allowing it to be flattened and rolled when not in use for compact storage. 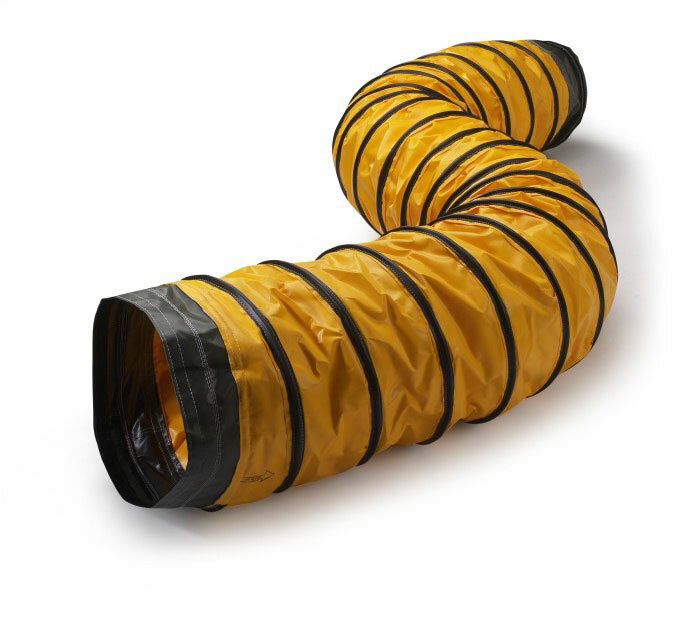 The Flat Duct hose is s constructed of two-ply, flexible heavy duty and highly abrasion resistant vinyl coated fabric. The interior construction is non-rip nylon with moisture proof insulation between the plies..
Tapered Adapters also insert into the duct system for the final connection. ITW GSE Adapters are available in two styles; straight tapered or 90 degree tapered. 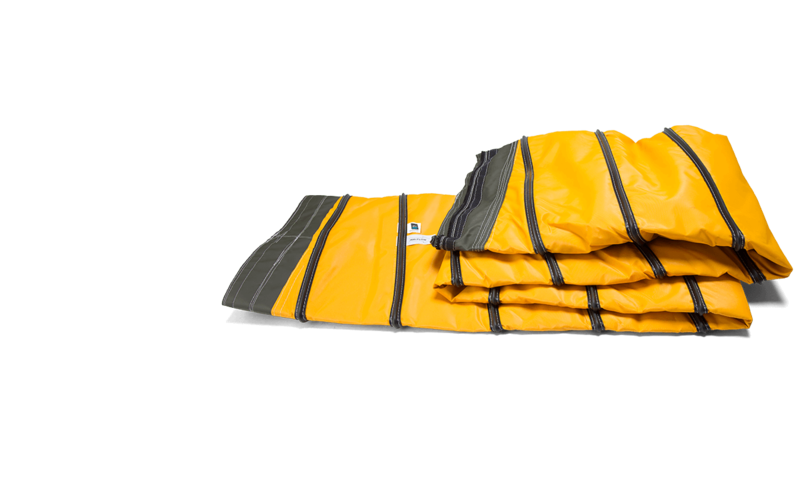 These come insulated or non-insulated and are available in diameters ranging from 5 inches to 36 inches. Various lengths are available to suit your needs from 3 feet to 40 feet. 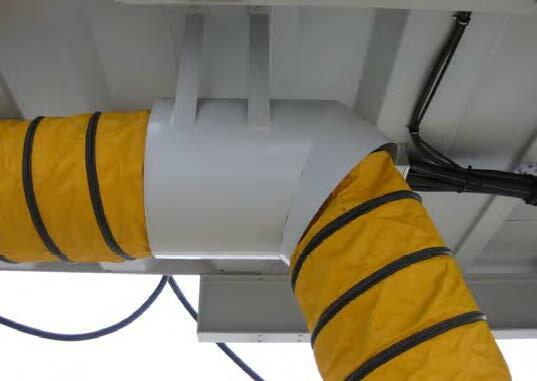 Ducts can be finished with plain cuffs, zippers, Velcro or a combination thereof. For more options and details, contact your Area Sales Manager or download the current data sheet. The PCA Hose Support is available in a variety of configurations. Please contact your Area Sales Manager for details and options.